The air in Cameroon is unlike any other – landing in Douala, I step out of the airport into the cloying humidity and plunge into a sea of people. No matter what time I land in Cameroon, it is always rush hour. As we leave the city behind and head towards Buea, the air becomes a beguiling combination of sweet and spicy. I close my eyes and breathe. The next morning I’m woken by birds I’ve never heard before. 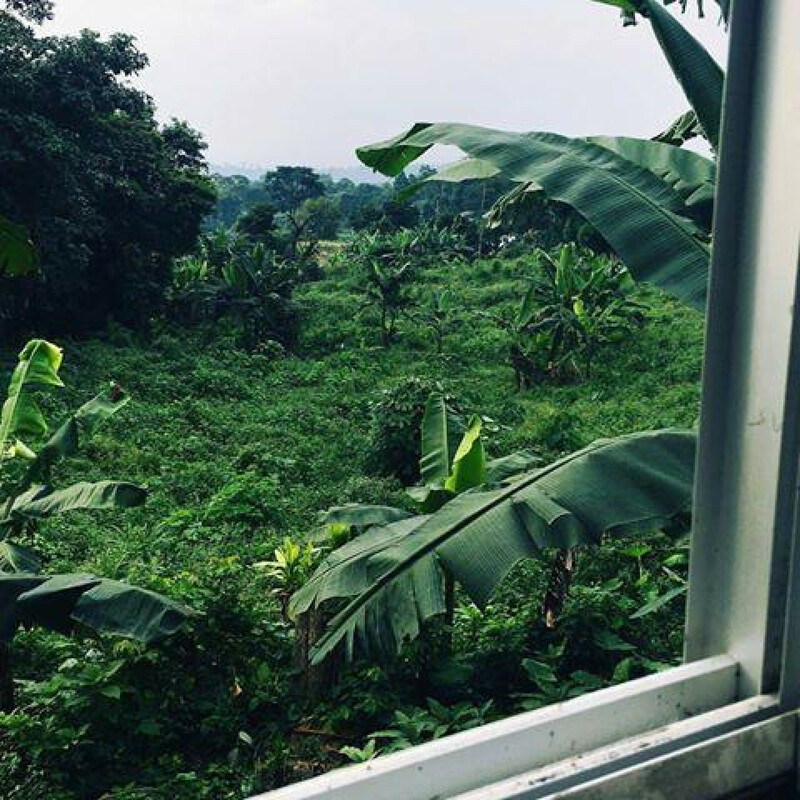 I take in the stunning view from my window, reminded of why my senses are in overdrive each time I come here – everything is so unlike my home in Canada, yet these differences are incredibly familiar. I already feel like I’m behind schedule and I know there are bound to be surprises along the way that I could never anticipate. This trip will be as exhausting as it is exhilarating, with beautiful highs and agonizing lows. All I know for sure is that I will leave with my heart full and my determination renewed. I’m so happy you are here to share my journey.